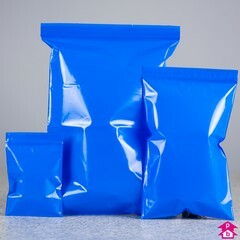 Small sized blue bag with a practical grip to seal closure. 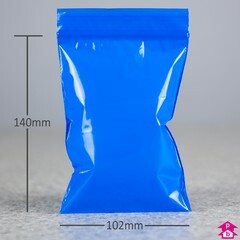 Great for protecting your items from dirt. Width measures 102mm by 140mm length. Standard 200 gauge. Bagged in 100's and boxed in 1000's.